The Netherlands is an important energy hub in the Northwest European market – not only for oil, but also for natural gas, coal, and electricity. The Dutch economy is also relatively energy intense due to the large refining and petrochemicals sector. The structure of the Dutch economy is founded on the substantial gas production in the country for more than 50 years, the large oil processing industry (refining and petrochemicals) and the logistical connections (pipelines, road, rail, air) with surrounding countries. 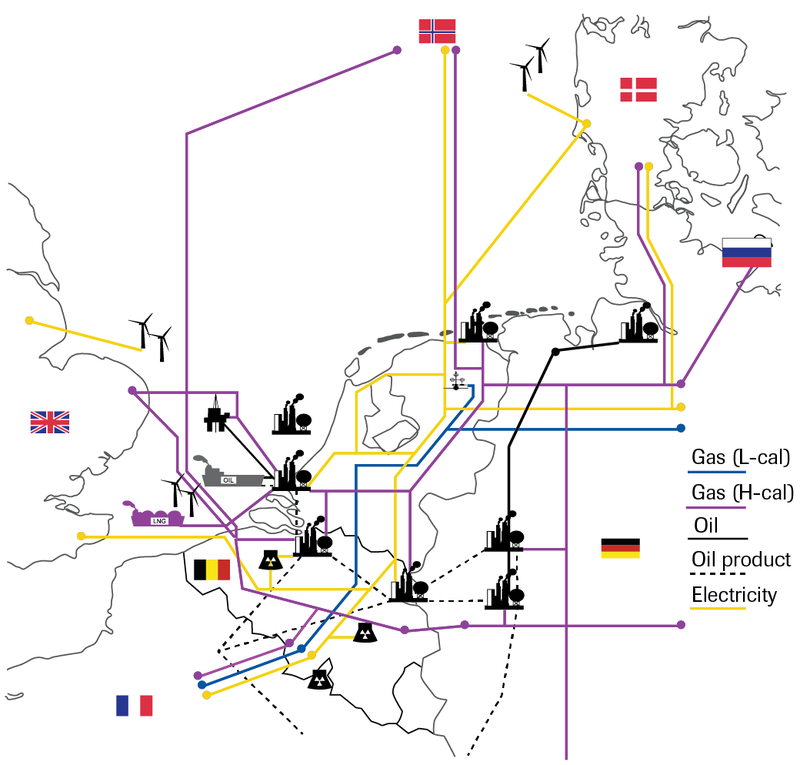 The function of the Netherlands as an important gateway or hub for Northwest European energy market has created strong interests in international energy trade. This article gives insights into the distinct nature of the Dutch energy economy, highlighting its integration into international energy markets, and discusses how the effect of national policies, measures and policy changes must be understood in the international context. 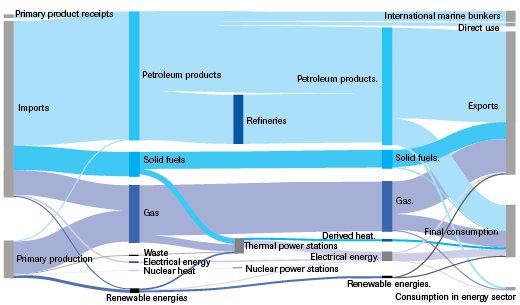 In a graphical representation of the Dutch energy balance (Figure 1), we see on the bottom left the energy produced in the Netherlands. This is mainly natural gas from both the offshore and onshore fields and small flows of onshore wind and oil. Natural gas is in part flowing to power generation stations (thermal power stations) and subsequently delivered as electricity to homes and businesses, and partially as gas for heating in households and the commercial sector. In 2016, substantial volumes of gas were exported, visible in the upper right part of the energy balance. Natural gas is also imported from abroad and some of this gas is then re-exported. To facilitate these flows the Netherlands disposes of a gas network and gas storage facilities. Some of these storage facilities are for seasonal balancing, others for daily market balancing. The seasonal storages are needed to match demand and supply. In the winter, demand for heating in households and the commercial sector is much higher, and therefore demand for natural gas is much higher. Natural gas storages are then used to supplement production, LNG (Liquefied Natural Gas) and pipeline supplies. This typical seasonal profile is an important characteristic of northern European energy demand and this feature cannot be ignored when considering alternatives for gas-based heating for households and the commercial sector. In the upper left part of the flow chart, the import of coal is visible. Of the imported coal, only a relatively small part is used in Dutch power stations or industry. Most of the imported volumes are transit flows to Germany, and show up in the upper right-hand part of the chart as exports. In 2016, more than 55 mton of coal was imported and 41 mton was re-exported.‍‍ Recently, some public discontent was voiced when the coal landing and transit company in Rotterdam renewed its contract with the Port of Rotterdam for another 25 years. Opponents of the contract renewal cited the intention of the Dutch government to terminate the burning of coal in power stations by 2030, making such a contract renewal for the Dutch power sector obsolete. The function as an important transit hub for Germany, where such a decision to terminate coal burning is still awaiting, was not taken into account in the commentaries, nor was the need of certain industries to use coal. The upper left-hand part of the chart is dominated by large volumes of crude oil and petroleum products imported into the Netherlands (petroleum products include fuel oil, naphtha, kerosene, gasoline and diesel). The largest part of the imported oil flow is re-exported to Belgium and Germany and is represented in the upper right-hand part as exports (this involves both unprocessed crude oil and petroleum products). Nonetheless, a substantial part of the oil imports is processed in Dutch refineries. Some of the products produced by refineries are consumed in the domestic market, in the commercial sector and in transportation. This flow from the refineries to final consumption can be seen in the bottom right hand part of the chart. Moreover, a substantial part of the products produced in the Dutch refineries (mainly gasoline) is exported. The size of Dutch final energy consumption, but also of primary production – both represented in the bottom left-hand and bottom right-hand part of the chart – is substantially smaller than the imports and exports of energy. The graphical representation shows that the Dutch energy economy is strongly integrated in international markets, and a substantial participant in international energy trade. As a result, the scale of energy infrastructures (pipelines, ports, etc.) and processing industries (refineries and petrochemical plants) can only be understood properly in an international context, as all those facilities do not merely serve the Netherlands, but also European and international markets. Refinery in Rotterdam. 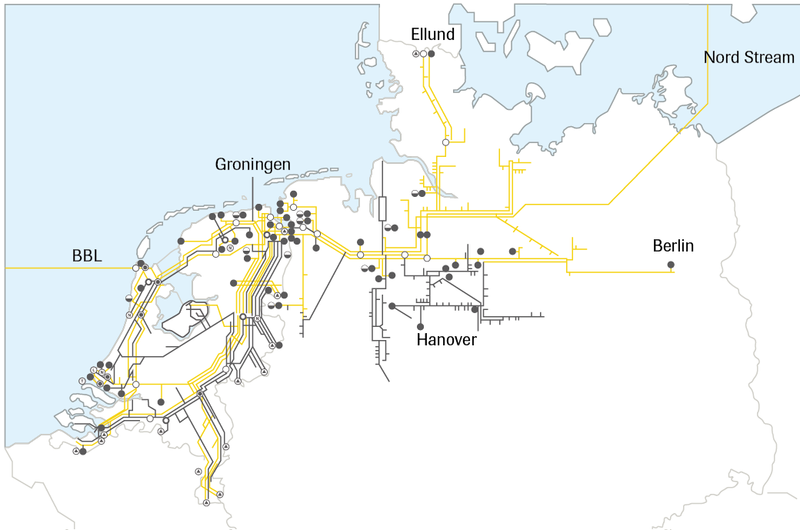 Existing pipeline infrastructure connects the Netherlands to neighbouring Belgian and German refineries, making Rotterdam the ideal landing point for crude oil in Northwest Europe. The energy balance of EU Member States is generally determined by a combination of natural endowments, such as coal in Poland, natural gas in the Netherlands, hydro in Austria, and policy choices, such as nuclear in France and wind in Denmark. In the Netherlands, the location and availability of a deep-sea port also plays an important role in the clustering of energy intense industries around the port and the connections with the hinterland. In 2016, the Port of Rotterdam had a crude oil throughput of 2 Mb/d, most of which was imported from a select number of countries.‍‍ The Dutch refining sector has a maximum capacity of only 1.3 Mb/d, leaving about half of the imported crude oil to be either stored, re-exported, or transferred.‍‍ Existing pipeline infrastructure connects the Netherlands to neighbouring Belgian and German refineries, making Rotterdam the ideal landing point for crude oil in NWE. Hence, the volume of oil that passes through the existing Dutch infrastructure should give an indication of the essential transit function the Netherlands has for Northwest European energy security. The Netherlands is therefore the gateway for crude oil and some oil products to service the larger petrochemical cluster in the Amsterdam-Rotterdam-Antwerp-Rhine/Ruhr area, also known as ARARR (Figure 2). The Netherlands is not only a producer and exporter of natural gas, but also an important transit country. Pipeline connections with neighbouring countries, a receiving terminal for (LNG‍‍ from overseas, and gas storage facilities, underpin the hub function. This natural gas hub function is not challenged by the required decline of production from the Groningen field, as the volume of imported gas in the hub is destined to increase (Figure 3). The Title Transfer Facility (TTF, the Dutch hub) is facilitated by Dutch state-owned Gasunie Transport Services (GTS; the Transport System Operator, TSO) and has developed into a virtual market place where many market parties can trade gas. Gas can either be produced in the Netherlands, or brought into the TTF area by other suppliers from surrounding areas. The combination of extensive ‘hardware’ (the physical infrastructures) and well-developed ‘software’ (the TTF approach) ensures that gas trade between market parties can continue relatively easily in case of changes in the supply-demand balance. Changes in demand or supply in the area affect the TTF market price. 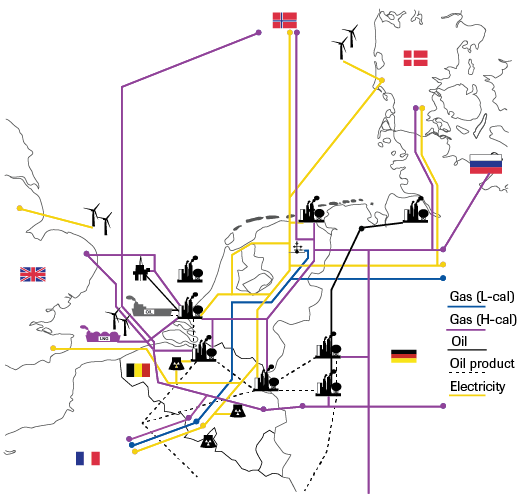 In effect, market mechanisms coordinate the energy flows into and away from the Netherlands. As a result from the ‘gasrotonde’ (gas hub) strategy, TTF prices have in fact become an important marker for gas prices across the European continent, as well as for bilateral contracts in parts of Europe that do not possess a similarly well-developed liquid hub. Although the natural gas hub function in itself is not challenged by the decline of production from the Groningen field, the relevance of the decline in Groningen production is related to certain technical characteristics of both the gas and the gas infrastructure. The Netherlands has two distinct gas pipeline systems, one for H-gas (high calorific natural gas, the European norm, which is also imported and produced at Dutch offshore locations) and one for L-gas or “Groningen gas” (low calorific natural gas). 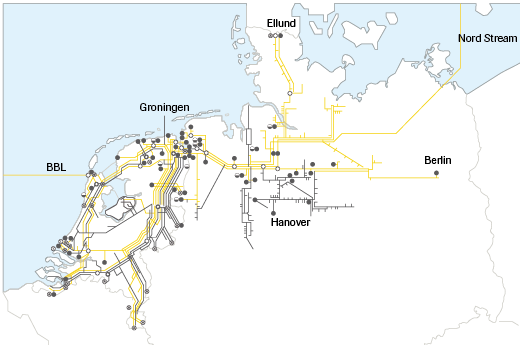 Blending nitrogen with H-gas creates natural gas of Groningen quality, connecting the two systems. Such conversion is performed by GTS, facilitating market participants to trade gas without being restricted by the gas quality differences in the GTS infrastructure. 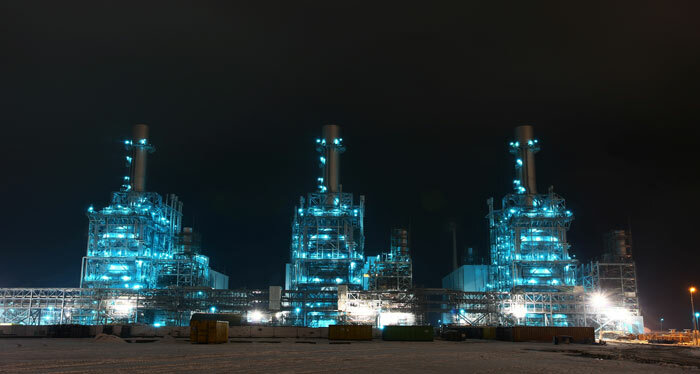 A gas-fired power plant in the Port of Eemshaven in the Groningen province in the Netherlands. In other words, the TTF does not discriminate between L-gas demand and supply on the one side, and H-gas demand and supply on the other, contributing to liquidity in the market. The faster-than-anticipated reduction of Groningen production due to seismic activity has created a mismatch in demand and supply of L-gas, which needs to be mitigated by either decreasing demand for L-gas or increasing nitrogen production capacity to convert H-gas into sufficient volumes of L-gas. In addition, mature small offshore gas fields have substantially reduced Dutch gas production in the space of a few years. 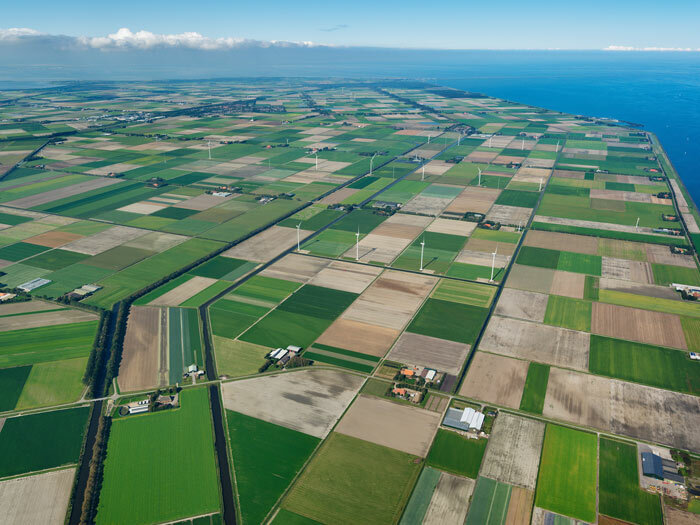 Such a rapid reduction in Groningen quality supply could, however, pose a security of delivery problem for dedicated L-gas consumers in the Netherlands, Germany, Belgium and northern France, unless nitrogen production and blending capacity is expanded. Because the expansion of nitrogen production needs time, specialised labour and capital, gas production can only decline when the factory is finished. At the same time, climate change policies are aimed at replacing natural gas as the main source for residential heating. However, substituting gas demand for heating also takes time, capital and labour. Until recently, the existing plans to convert residential and commercial consumers from L-gas to H-gas would sufficiently reduce demand to manage the security of delivery issue. However, the most recent earthquake has increased the urgency to bring production further down and below the current planned reduction of demand. Investments in the gas system are necessary to manage the expected imbalance between demand and supply, while at the same time planning to reduce demand in the built environment and industry. The current labour-market constraints, which can seriously delay converting residential and commercial heating systems on a large scale, will probably support the rationality of both policy decisions (to convert H-gas to L-gas and introduce non-natural gas heating systems). Yet, it would be wise to coordinate the investments in the gas system, mitigating a short-term policy problem, and the gas demand reduction measures, addressing a mid- to longer term climate change problem, so that both policy measures make economic sense. Moreover, such a decision helps policy-makers avoid a predicament, with implications for the neighbouring countries and potentially for the reliability of the Netherlands as a supplier. Although Groningen production is declining, it does not impede the gas hub function, because L-gas will be replaced by imported H-gas, perhaps even strengthening the hub function as gas volumes from a range of suppliers are drawn into the TTF area. The impact of energy transition on the natural gas hub is complicated. It is relevant to distinguish between uncertainties in the long term, and prospects in the short to medium term. Over time, energy transition is challenging the hub role of the Netherlands, for instance if energy becomes much less traded and instead increasingly produced and consumed locally. Electrification may substitute for some of the traded gas, when decentralised generation (solar and wind) take a larger share of demand. On the other hand, energy transition could create new opportunities, when flows of green power and green hydrogen develop to match intermittent supply and demand. In either case, the role of gas in NWE remains important in the short and medium term, as the new energy system will not be built overnight. While renewables are set to grow substantially, the share of coal and nuclear energy in the region is set to decline. In other words, renewables do not necessarily replace natural gas one-to-one in the near term, and change is not going to be symmetric. Currently, integrated energy system transition or sector coupling is gaining traction as a way to decarbonise the hub and maintain the strong focus on international energy flows. In this respect, gases (including natural gas) are expected to play a role as a ‘system fuel’ for quite some time, ensuring energy supply and demand is balanced year-round in the various sectors, supplementing variable production from renewable energy sources (RES) such as solar and wind. While the use of new electricity storage technologies will increase and contribute to balancing short-lived swings, larger imbalances will continue to be addressed using gases. Both the ‘hardware’ (gas infrastructures) and the ‘software’ (the well-developed virtual market place TTF) will continue to be supportive in this respect, as gases can be traded between market parties relatively easily and flexibly, depending on their exact needs throughout the year. The energy balance of the Netherlands is still very much a reflection of an energy system based on fossil fuels. With the tightening of climate change policies, these flows will be impacted too, depending on the policy choice of the Dutch government but also of governments in neighbouring countries. For instance, a decision of the German government to reduce the role of coal power stations in the electricity sector would substantially reduce the flow of coal through the Netherlands. At the same time, a decision by Dutch authorities to withdraw the license to import and transit coal through the Netherlands would greatly impact the German electricity sector. They would have to find a different harbour through which to import coal and would not be able to use river barges to supply their power plants. The Netherlands is an important energy hub in the Northwest European market, also for electricity. Furthermore, the stimulation of Electric Vehicles (EV’s) in NWE could change the flow of oil and oil products through the Netherlands. Depending on the competitive position of the various refineries, it could have different outcomes. Restructuring of the German refineries could potentially lead to an increase in oil product exports to Germany. However, if competitive German refineries capture a larger share of the shrinking market for transport fuels, oil product exports from the Netherlands to Germany could decrease. Another option is that European refiners will export more refined product to international markets, i.e. to markets outside Europe, to compensate for the shrinking market at home. Much is still unclear about the precise impacts the energy transition in Europe will have on the flow and trade of coal, oil and natural gas, depending on policies of the individual Member States. It is important to keep in mind that international energy markets are dynamic in nature. It is clear, however, that apart from introducing new energy technologies to the energy system, existing industries and infrastructures are still needed to connect the new and old flows into a new system. This is particularly true for the period of transition, when decarbonised flows and fossil fuel flows need to co-exist. Also flows through the Netherlands may continue longer than domestic demand for certain energy products because neighbouring Member States rely on the Dutch hub for their flows. The pace of change in the energy system is likely to be asymmetric among the EU Member States. The task is then to combine both traditional and new energy technologies in an effort to improve carbon and energy efficiency (Figure 4). Rather than thinking only in terms of the new energy technologies and accompanying assets, it is important to also facilitate transition of the existing assets. We know, for instance, that restructuring the European refining industry will take quite some time. An early exit from the European market may not contribute greatly to emission reduction, if oil products continue to be used and shipped from refineries elsewhere in the world. 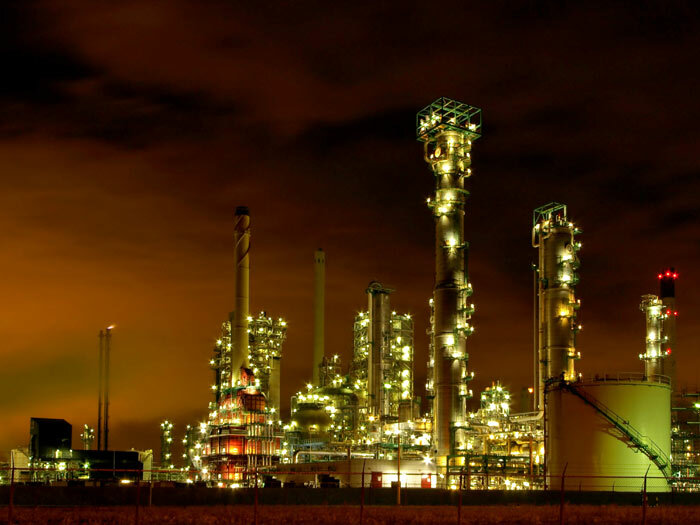 CO2-reduction results could in fact be better, if European refineries are encouraged to improve their energy and carbon efficiency and are challenged to contribute to the clean energy system of the future. This can be done by creating new infrastructures for captured industrial CO2 and organising storage in empty gas fields or other geologies (CCS), creating infrastructures to capture waste heat and deliver it to homes and offices, and by connecting industries with a large demand for hydrogen, once developed, to the green hydrogen production facilities offshore. Industrial energy demand in the ARARR is not merely a complication for energy transition, but could in fact turn out to be an enabler for it, as fast-growing new energy technologies, such as offshore wind, may be confronted with integration issues.‍‍ Although demand for electricity is expected to grow as a result of increased electrification, matching supply and demand every day and in every season is a major challenge. Converting some of the electrons into molecules may help to connect more types of demand to green energy, but may help to manage demand and supply mismatches as well. 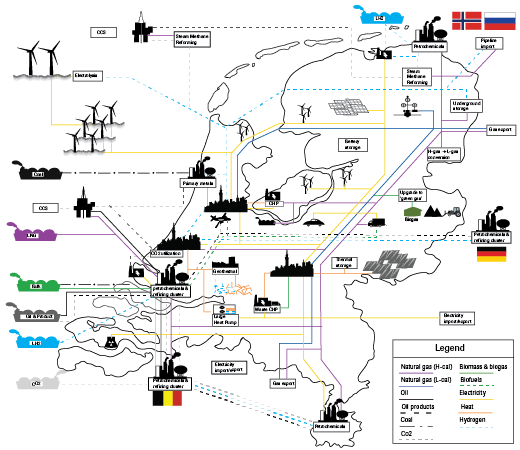 Ideally, the Netherlands can change into a hub for, initially, old and new flows, while at the same time other Member States’ energy-intense clusters can be connected to the new infrastructures in the Netherlands. Moreover, both hydrogen and CO2 flows can be connected to create an integrated market for hydrogen and carbon capture, storage or use (CCS/CCU). Energy transition is currently a largely national affair with each Member State setting its own priorities and developing its own system. Increasingly, however, the renewable energy production potential of some Member States may not match the technical, economic, or socio-political absorption capacity in that same Member State for the new renewables. In a system with national support schemes and a European market for energy, this may cause socio-economic tensions when new capacities are developed with national support schemes, but with consumption elsewhere in the EU market. Wieringermeer in the Netherlands, the construction site of one of the largest onshore wind farms in the Netherlands. Germany is experiencing such a situation where German consumers pay a surcharge in their energy bills, while consumers elsewhere benefit from low-cost electricity produced by the renewable capacities. In Denmark, the notion that electricity from new offshore wind projects is difficult to absorb nationally is on the radar, too.‍‍ While the share of wind energy reached 37.6 percent in 2016, and while electricity demand is fully met with wind energy at times, it only made up 7.6 percent of the total energy consumption in 2016.‍‍ Increasing the absorption capacity of national energy systems, for instance by increasing the flexibility of the system through storage and conversion possibilities, can help maintain public support. Yet, recognising and respecting the internal energy market may turn out to be inevitable in order to achieve a successful energy transition at the European level. The Netherlands as an important hub in the current Northwest European energy market may want to claim the role of providing the market with that flexibility. In summary, the Netherlands is a hub for European energy. Groningen production reductions do not threaten the role of the Netherlands as a hub in Europe. At the same time, the Netherlands would have more to lose than other countries from a shrinkage in global energy trade. The transition towards renewables has the potential to challenge the role of the Netherlands as a ‘molecule hub’, insofar as local energy production and decentralised solutions would curb international energy trade. It remains to be seen, however, whether such a narrow view on what energy transition entails is truly indicative for the energy system of the future. It is worth emphasising that countries around the world have always tried to find a balance between domestic energy production on the one hand and international trade on the other, taking into account costs and benefits of the options. It is likely they will continue to do so in the future. Indeed, the Netherlands and other European countries did not stop coal production because of a lack of coal production potential within their borders, but because international markets proved to be a better deal than consuming costly domestically produced coal. In the same vein, the Netherlands and neighbouring countries may continue to consider the option of importing liquids, gases, and electricity for their future decarbonised energy system, rather than producing all energy themselves, at any cost. Importantly, there is space for synergies, too. The ports and industrial clusters in the Netherlands can in fact be facilitators of energy transition and the build-up of new clean energy industries. However, this will not happen automatically. Policy support and high-level coordination are needed. See, e.g., Kreijkes (2017), ‘Looking Under the Hood of Dutch Energy’. See, e.g., BP (2017), ‘Statistical Review of World Energy’; or, Port of Rotterdam (2017), ‘Facts and Figures’. Natural gas is cooled in a Liquefaction plant in the exporting country and gasified at a LNG terminal in an importing country. Cooling natural gas to the point that it becomes a liquid allows more energy to be shipped to export destinations. Since 17 January 2014, ministerial decisions have reduced production from the Groningen field in various steps. Insights into the relationship between production profiles and levels and seismicity, but also new earthquakes, initiated new production ceiling decisions. In 2014 and 2015, there would be a production ceiling of 42.5 bcm and 40 bcm for 2016. But on 9 February 2015, the minister decided to reduce production from the Groningen field to 16.5 bcm until 1 July 2015. In late June 2015, Groningen gas production was set at a maximum of 30 bcm until the end of 2015. In gas year 2016, the ceiling was set at 24 bcm and in 2017 at 21.6 bcm. After a court ruling, the minister has to make a new decision on the production ceiling for the current gas year. The mining authorities had advised the minister to reduce Groningen production to manage seismic activity in the region for the safety of inhabitants. After the last earthquake at Zeerijp in January 2018, the new advice of the mining authorities is to reduce production as soon as possible to about 12 bcm a year. Kamerbrief over gaswinning Groningen, March 29, 2018. The integration challenge of solar and wind energy is twofold. First of all, some part of the energy economy will increasingly be electrified. That requires a lot of change in various sectors, and a lot of action by many stakeholders. Appliances, manufacturing processes, etc. need to be adapted. Secondly, the energy flows will change and become more dynamic, due to the variability of solar and wind energy. 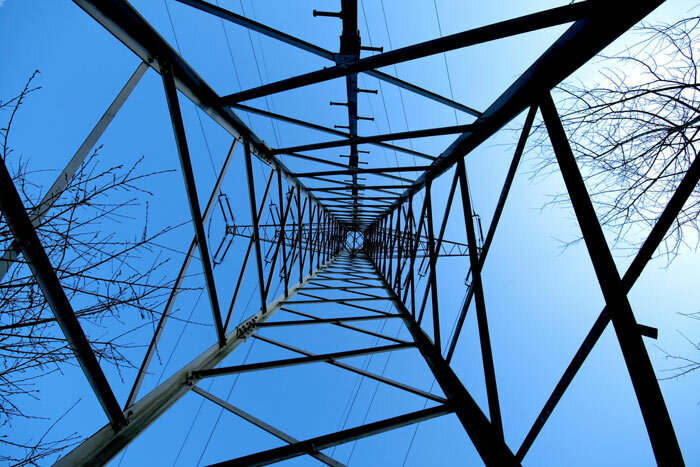 Electricity grids need to be adapted to that new reality. And more may be required to ensure that supply and demand is in perfect balance year around. That is, energy conversion technologies need to be embraced. Hiccups in all these processes in the various parts of the economy and society may become hurdles to further develop renewable energy production potential, especially when shares rise substantially. The industrial ARARR cluster can in fact contribute to increase the absorption capacity for the new energies in the near to medium term. Politiken, ‘Radikale vil bygge Danmarks største havmøllepark for milliarder’, September 17, 2017. Once again, it is important to stress that the energy system comprises more than just the electricity sector. In 2016, final energy consumption in Denmark was 605 PJ (source: Eurostat). That same year, production of wind energy amounted to 46 PJ (or 1099.1 ktoe [source: Eurostat]). At the time of writing, Eurostat data was not yet available for 2017. For full insight and the most recent figures, visit the website of the Danish Energy Agency or Eurostat.